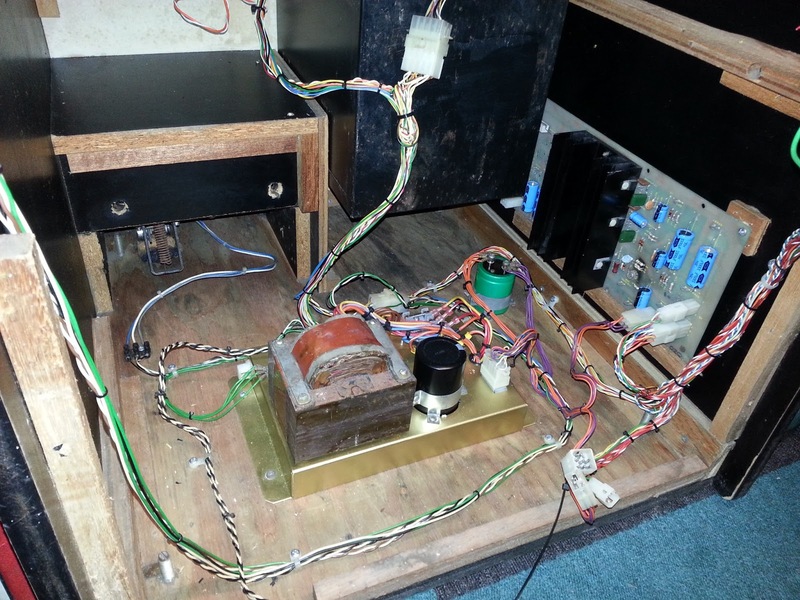 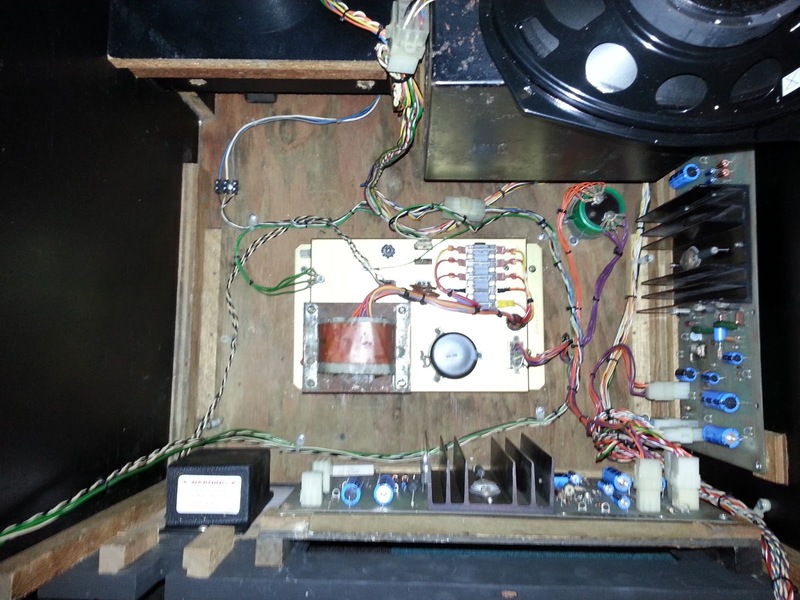 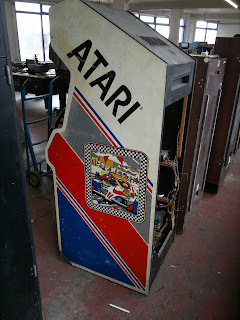 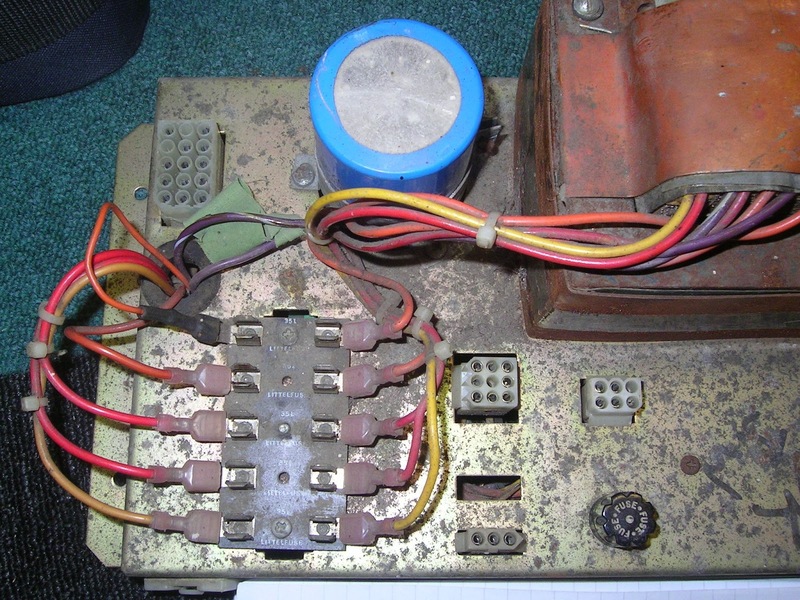 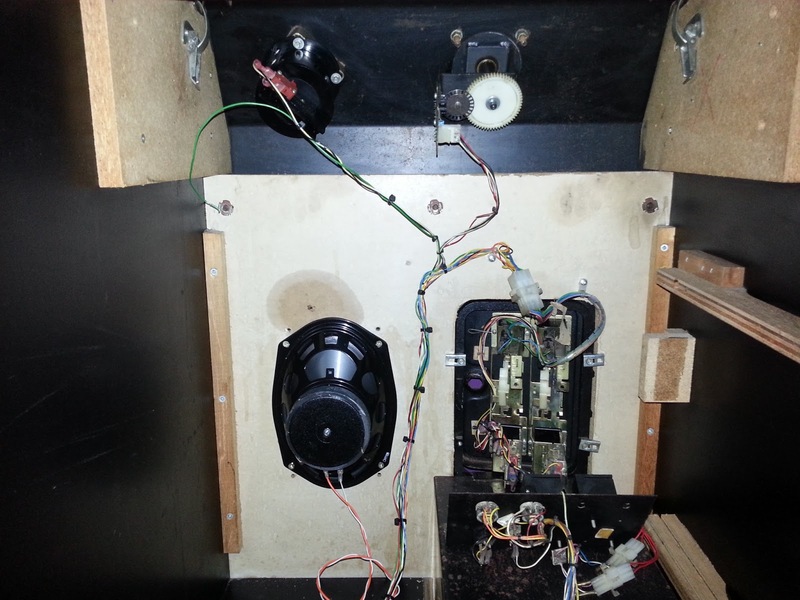 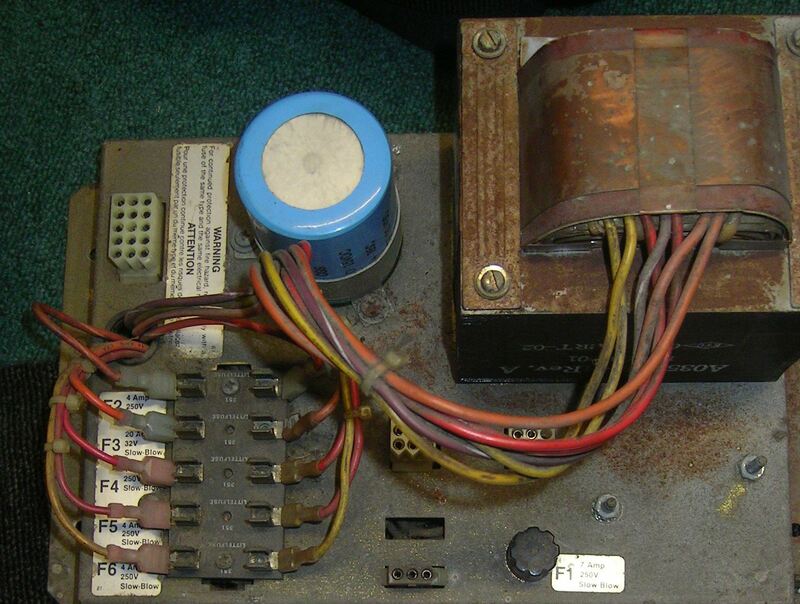 I got the cab from Phil's arcade clearance thread over on the UKVAC forums, It came in a pretty bad state, ( As I had already seen from the photos) missing Gameboard, Dead monitor and FFFFilthy to say the least. 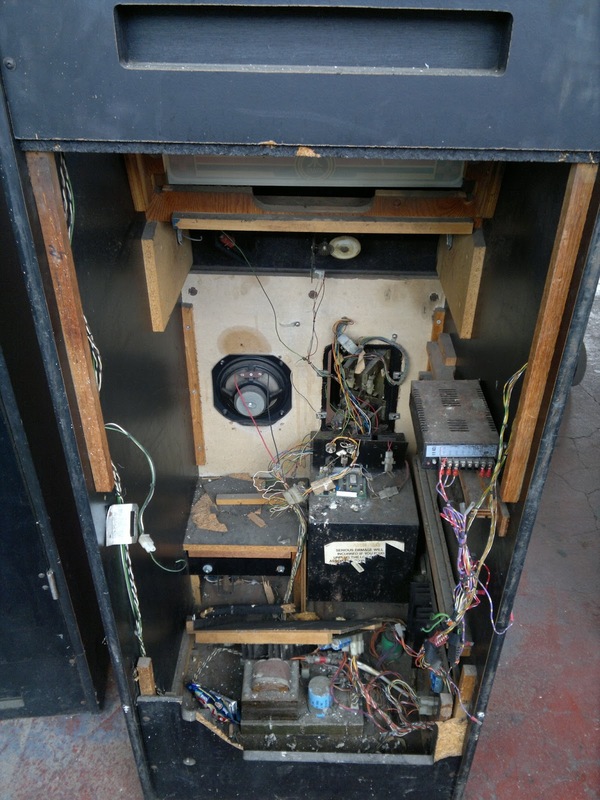 I have currently misplaced a whole SD card full of photos, so there's not really a lot of in progress shots of the cab being stripped and cleaned, when I find it I will update the article. 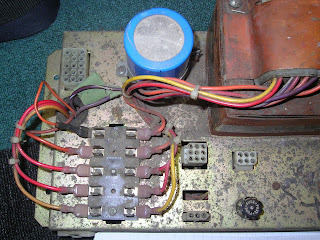 Power brick covered in 25 years of Arcade dust. 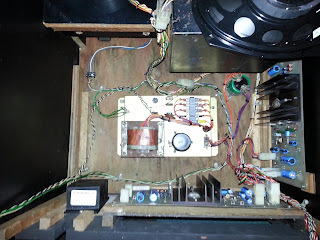 What I've done; well both ARII's have been rebuilt with new Caps and regulators, both had blown R29/30 usually due to poor edge connector connections, the power brick had the works too, with a complete strip down and rebuild. Fuse holder, fuses, big blue and a coat of paint to tidy thing up. See photo below of the finished brick. Here's some photos of the cab with all of the loom been cleaned and refitted. 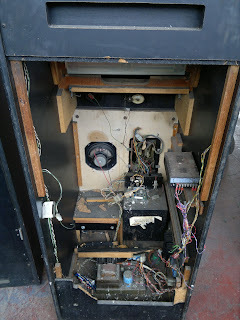 As you can see, the back panel still needed to be replaced at the time of these photos. 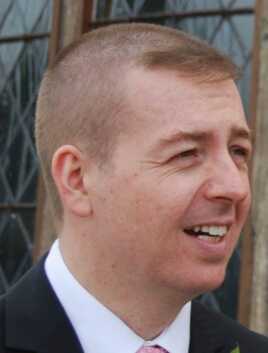 But It now look a damn site better. 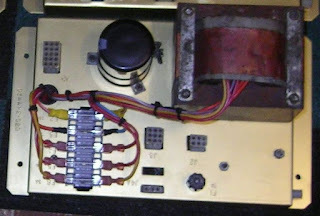 I'll be the first to admit that I'm no carpenter, but my attempt at remaking the wooden back panel didn't come out too bad. I made it from some old Ply wood that I had and coated in in black emulsion paint. 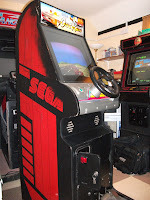 I should have black vinyl, I might do this once other parts of the cab a completed. 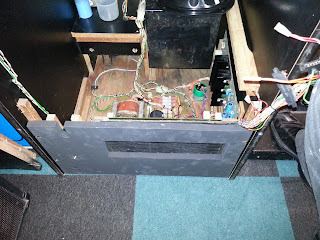 Hopefully I'll have more updates in the next few weeks. 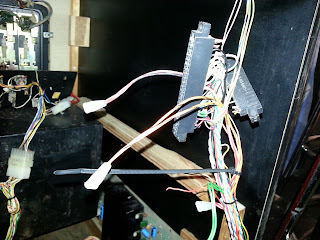 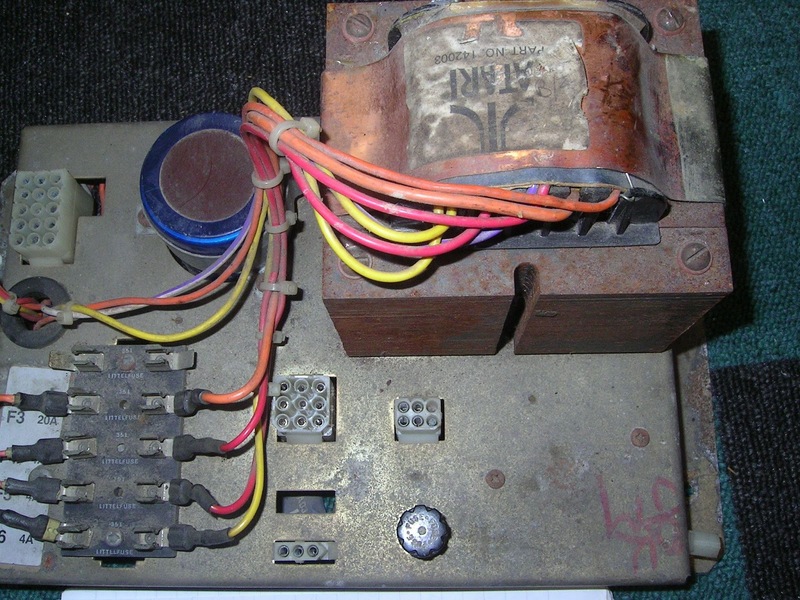 Part of the process of improving the reliability of my Atari cabs was to do rebuilds on the power bricks. 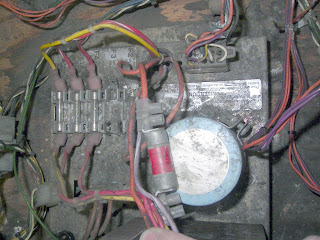 The Pole Position brick was filthy and had been badly repaired, bypassing the original burnt out fuse holder. 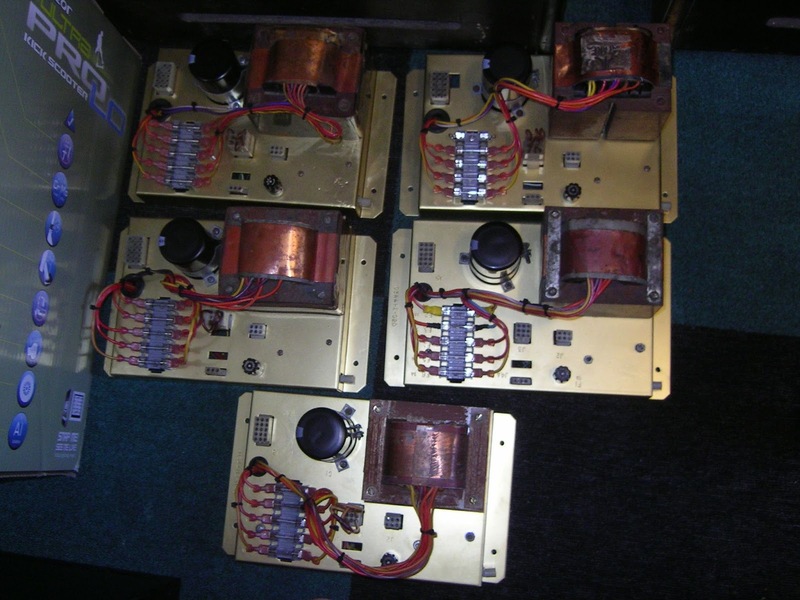 The final photo shows an after shot of all the rebuilt power bricks. 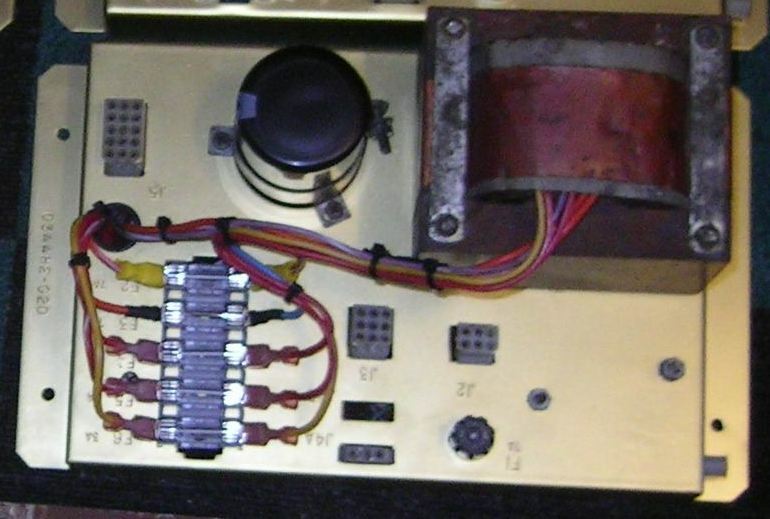 Much better! 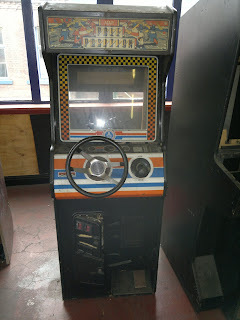 and hopefully I've added to the future reliability of the cabs. Pole Position before. 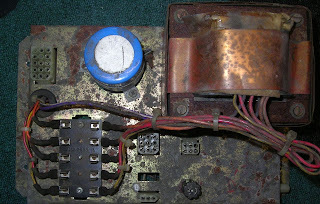 This Power Brick was filthy! The end result, after being stripped down, cleaned, painted, having new fuse holders and crimps. 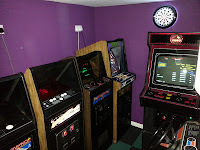 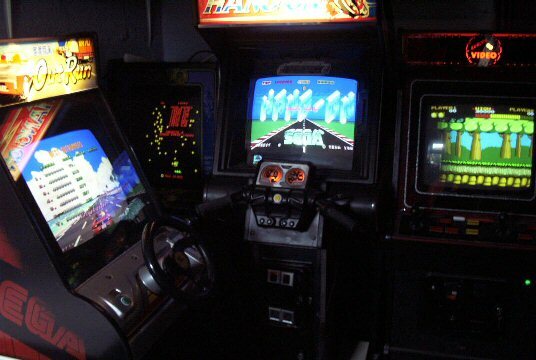 I've added three new pages under the projects section on the right hand side ----> which show a small selection of photos from my past and present home arcades. A couple of the photos are below. New blog on line with hopefully continuing updates about my arcade collecting and all my other geeky projects! Still have loads to do to get the site as I want it. Graphics/Colour scheme layout etc.